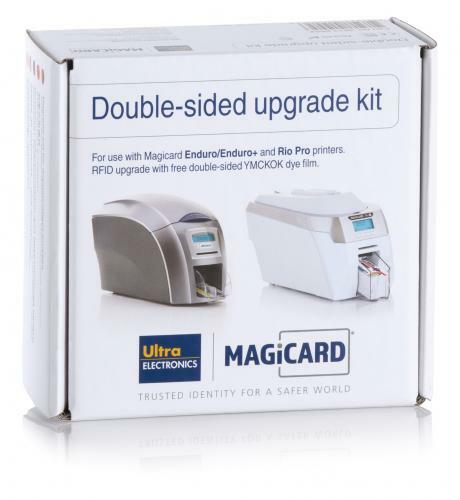 The Magicard dual-sided upgrade kit is field installable and drop-in. 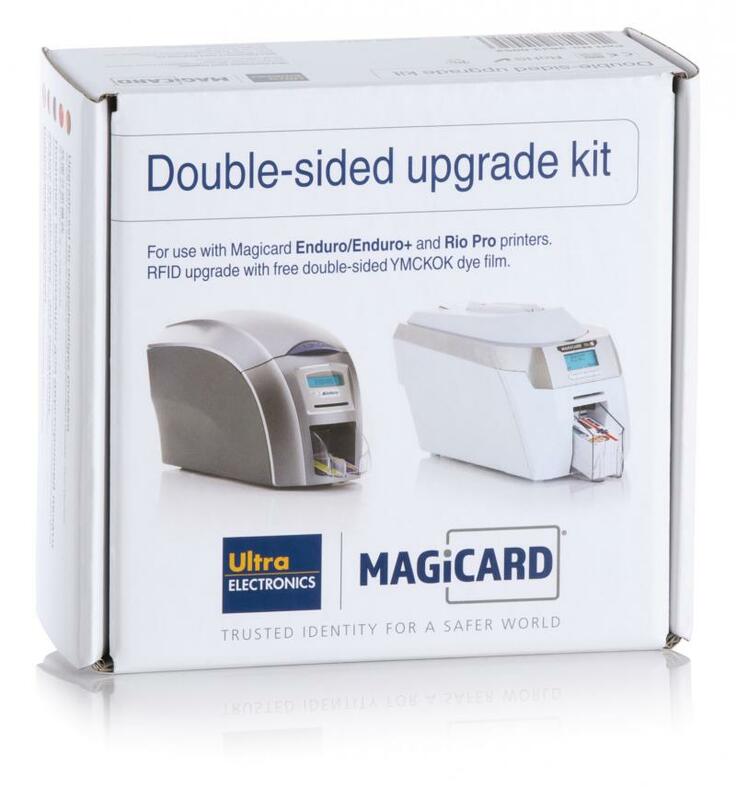 When your single-sided ID card printer is ready to start printing on both sides in one pass, the upgrade is simple and easy! The upgrade kit is a special YMCKOK ribbon that has an embedded RFID chip installed. Upgrading to dual-sided printing is simple as installing a ribbon! Thanks to the RFID chip, the printer will function as a dual-sided printer. There�s no need to buy this upgrade ribbon again. Once you've installed this upgrade kit, you will be able to use standard ribbons. For use with the Magicard Enduro, Enduro + and the Rio Pro printers. YMCKOK � full-color ribbon with an embedded RFID chip that enables dual-sided printing.